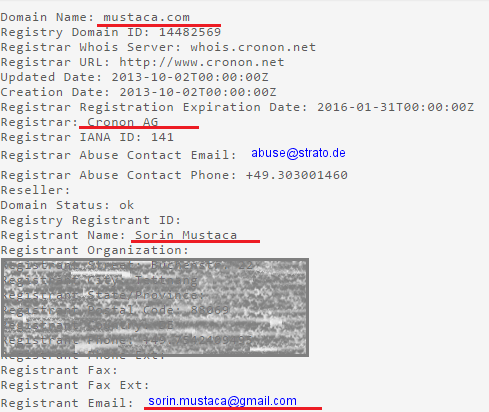 The Domain Name mustaca.com have been suspended for violation of the Cronon AG Abuse Policy. 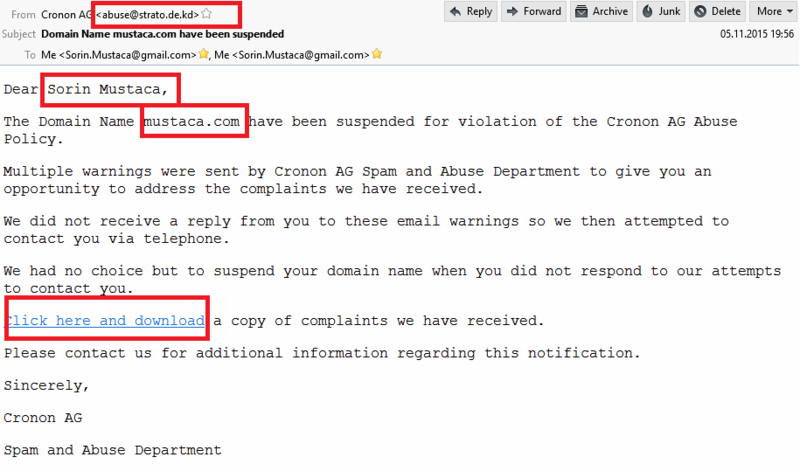 Multiple warnings were sent by Cronon AG Spam and Abuse Department to give you an opportunity to address the complaints we have received. The email appears to come from them, but observe the “.KD” in the FROM email address. Suspicious! Just have a look at those areas I marked with red. Absolutely nothing to do with the Cronon AG! This shows that the email is a fake. Then, observe that they have obtained my name, email address and my domain. Very convincing! The link points to a malicious file that gets dropped! The URL is so created that it gives the impression that it retrieves something dedicated to my account. Observe the “mustaca.com” appended to the URL. In order not to link here a malware file, I removed the host. 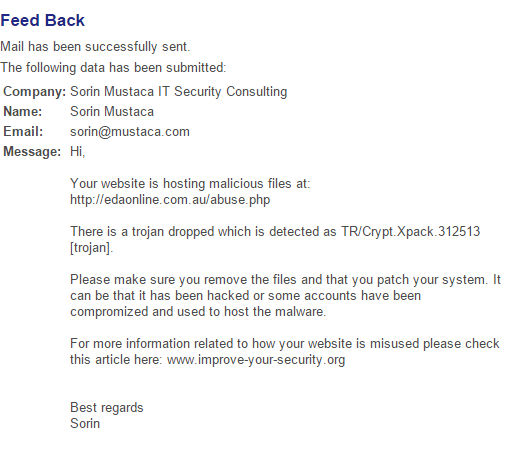 The malware is recognized by Avira as ‘TR/Crypt.Xpack.312513 [trojan]’. I have informed the company owning the website which hosts the malware. Let’s see if they answer or at least remove the malware!